OECD Environmental Performance Reviews provide independent assessments of countries’ progress towards their environmental policy objectives. Reviews promote peer learning, enhance government accountability, and provide targeted recommendations aimed at improving environmental performance, individually and collectively. They are supported by a broad range of economic and environmental data, and evidence-based analysis. 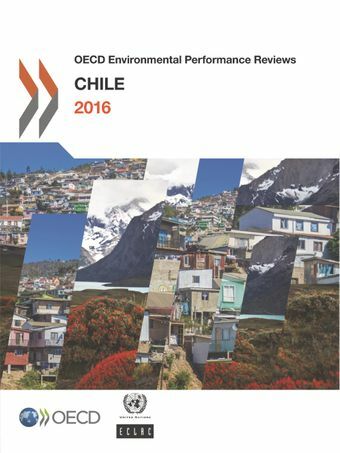 Each cycle of Environmental Performance Reviews covers all OECD countries and selected partner economies.This report is the second Environmental Performance Review of Chile. It evaluates progress towards sustainable development and green growth, with a focus on climate change and biodiversity conservation and sustainable use. Chile has taken steps to address the rising environmental pressures from its rapid economic growth, strengthening its environmental institutions and introducing new instruments, including a carbon tax. It now needs to move ahead and thoroughly implement policy measures to stem the threat to its land, air and water, according to a new OECD report. Chile ha adoptado medidas frente a las presiones crecientes sobre el medio ambiente derivadas del rápido crecimiento económico fortaleciendo sus instituciones ambientales e introduciendo instrumentos nuevos, como el impuesto al carbono. Ahora debe continuar avanzando y aplicar medidas adicionales para controlar la amenaza a su tierra, aire y agua, según indica un nuevo informe de la OCDE.